@Good Guy Satan, I remember people talking sh!t about it for a while after it started airing, but i also remember it being really good. 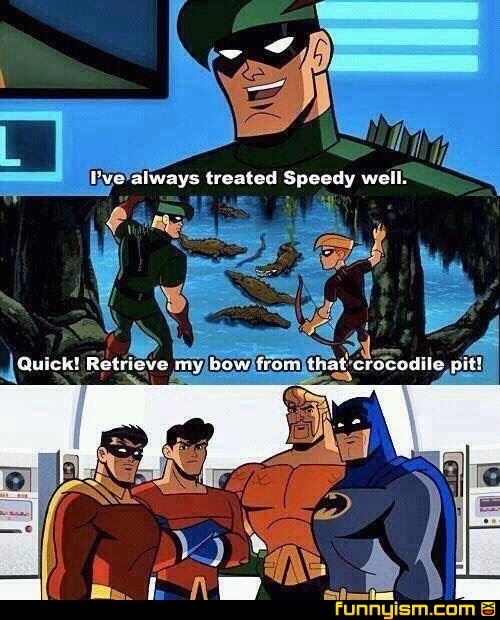 And honestly, that show's how I first heard about most of the more obscure (and awesome) DC characters. @Good Guy Satan, hey, it worked for Marvel. Of course, it also helped that Marvel had good writing for it's movies. Wasn’t Speedy the name of the henchman in the first episode of Venture Bros that Brock chokes to death? @Kangaroo Jacked, Yeah. Turtle Bay was basically a Flash cartoon. I don’t know about Dia de los Dangerous.